A trip to OCT can be inspirational--lots of things you can re-imagine and lots of inspirational books. Here is a sample of a great Arts and Crafts book from Booth #8 and there are plenty more where this comes from. 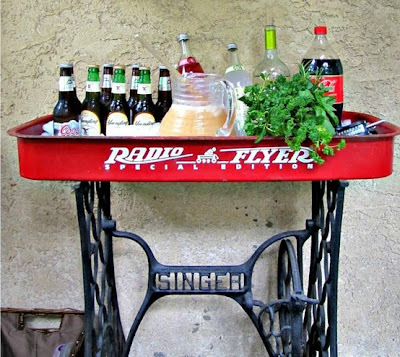 We love this creative repurpose from Pinterest. Taking vintage items and re-inventing them--what a great idea. Come by and see what inspires you!